People often don’t believe me when I say that I’ve been able to build more muscle and strength with bodyweight exercises as compared to when I lifted weights. I can’t say that I blame them. If you told me 7 years ago that I would have ditched the weights for calisthenics I would have thought you were fit for a padded cell. If you said I would be bigger, faster and stronger for it I would have really thought you were crazy. And yet, 5 years ago, I did an experiment to see how far I could go with bodyweight training and I’m still going. My body looks, feels and performs better than ever, all thanks to various bodyweight disciplines. There are a number of reasons as to why I’ve reached new levels of fitness with calisthenics but I can sum them all up with one word. Freedom! Like many, I used to believe that getting in shape was about anything but freedom. Success in fitness was about staying on the straight and narrow and following the rules. I used to believe that if you wanted killer results then they came at the sacrifice of freedoms of food and recreation. To the contrary, I’ve come to discover that freedom is actually the very key in reaching higher heights. For example, the more freedom I enjoy in my diet, the healthier I eat and the more fit I become. These days, I eat whatever I want, as much as I want and whenever I want. People snicker and think I’m a fluke to be lean and fit with this dietary plan. What they don’t know is that I’m in shape because of the freedoms I allow myself rather than in spite of them. I’ll address why this is so in my next article. With calisthenics, the world is your gym. You’re no longer confined to workout in one place with certain pieces of equipment. You’re free to exercise anywhere you find yourself. With the freedom to exercise anywhere comes the luxury to workout at any time of the day. 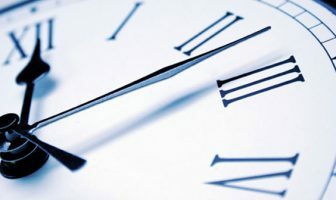 You can workout around your schedule even if that means doing it early in the morning or late at night. You can even sprinkle your exercise throughout the day whenever you find yourself with a free moment. Anyone who’s been working out for a while knows that the smallest changes in technique can make a big difference in how you work your muscles. This is often why many people will prefer cable machines and free weights. They become consumers of the movement and use utmost precision to target their muscles as they wish. Calisthenics provides the ultimate freedom to move however you like. Since your body is the primary piece of equipment you can put your hands and feet at exactly the right angles and positions that are best to light up your muscles like the 4th of July. In addition, calisthenics also uses very few benches or seats that lock your body into place. Almost every exercise gives you the freedom to move and position every joint in your entire body in the ways that are best for you. It’s a myth that it’s hard to increase the intensity and resistance of bodyweight exercises. In fact, to the skilled athlete, there are more ways to make any exercise harder than you would ever need. I can take any exercise and make it super easy or almost impossibly difficult and everywhere in between. But it’s not just the range of intensity that’s so great about calisthenics, it’s the ease in which you can adjust it. With calisthenics, the intensity is generated largely by your technique and body position. This is something that’s often far easier to adjust than changing weight plates and dumbbells. Shifting your feet a few inches or leaning back a bit more is even quicker and easier to do than pulling a pin on a weight stack. What’s more, you can adjust the intensity right in the middle of a set or even half way though a single rep. You don’t have to stop exercising to adjust the intensity, you can make such changes on the fly. Being able to adjust the intensity through body position also gives you the freedom to infinitely adjust the resistance how you like. In the weight lifting world it’s common to jump the intensity up or down by increments of 5 or 10 pounds. Sometimes you can micro adjust the resistance by 2 or 3 pounds. With calisthenics there are no such steps or chunky jumps in resistance. You can fine tune the resistance as fine as you wish. If you want .75 more pounds of resistance you can do that. 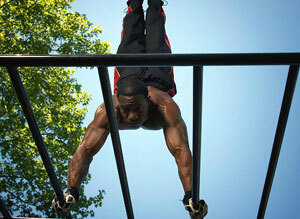 Lastly, progressive calisthenics is a discipline which does not tolerate weakness and physical pitfalls of any kind. It takes more than sheer grit and strength to do advanced moves like one arm push ups and pistol squats. You can be as strong as a gorilla and still fail to perform a basic bridge. Calisthenics changes everything. Strength, balance, power, flexibility, coordination, muscle control, core strength, endurance, stamina, explosive power, nothing is left untouched. If you’re lacking in some area of fitness, calisthenics will bring your shortcomings to the surface and make them very apparent. This is why many people will get a small taste of bodyweight training and then run for the back door. It’s not that they don’t like the exercise, rather it makes them face the dark side of weakness they’ve been ignoring for too long. For those who have the courage to face their shortcomings, calisthenics provides them with the ultimate freedom. The freedom to build up their body without breaking it down. The freedom to build bulletproof joints and a body that can handle anything it’s subjected to. Pain and injury originates from weakness, stiffness and muscle imbalances. Once the pain is there it limits what you can do in daily life. It doesn’t matter what area of the body is hurt, there isn’t a single inch of your physique which is expendable. Calisthenics gives you the best shot at building a body that is as resilient as it is strong. It does this because your progression in bodyweight training requires you to have complete fitness. You can’t sweep your shortcomings under the rug and pretend that they don’t matter. Calisthenics works the muscle but rarely does it break you down. 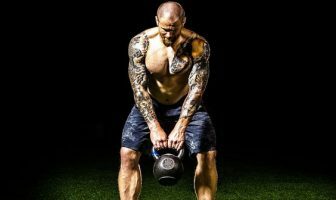 I’ve seen many people tell me about how their shoulders or back are “no longer what they used to be” after years of heavy lifting. I have yet to meet a single person who blames push ups and pull ups on their bad shoulder. That’s not to say you can’t hurt yourself with calisthenics, you can. However the stress on the body is far less even though the muscles are working much harder. These 5 freedoms give you the power to exercise on your own terms so your workouts fit within your lifestyle rather than conflict with it. Having less stress upon your daily life is great, but it’s almost a minor miracle how these freedoms also are the key to bringing you better results. Over all, they allow you to safely and comfortably ramp up how much you exercise, how hard you exercise and what muscles you exercise. If being able to workout longer, harder and with greater focus doesn’t make you stronger, nothing will.